If you have any questions or want to enquire about dates, use our form to contact Holly Kotkowicz or see their website for more information. 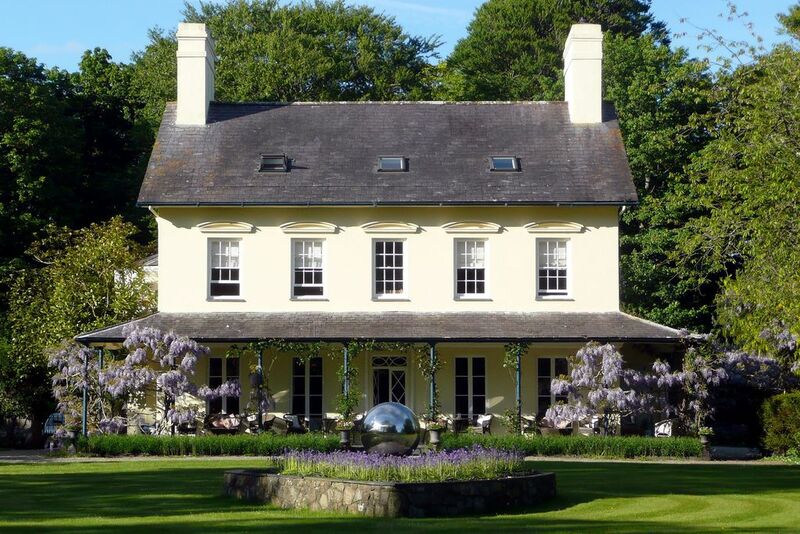 A beautiful house, one of the loveliest places to stay in Wales. It may be far flung, but it’s worth every second it takes to get here. Outside, six acres of mature gardens include a 200-year-old avenue of beech trees. Inside, a cool elegance roams freely: golden wallpapers, smouldering fires, a quirky bar that appears from thin air. French windows flood the house with light and open on to a veranda that comes wrapped in wisteria in summer. In good weather you take afternoon tea here while watching sheep graze in the fields; it’s a little like being in a period drama. Bedrooms have chic fabrics, good beds, white linen, super bathrooms – it really doesn’t matter which one you get. Some open onto a courtyard, a lovely spot for pre-dinner drinks in the evening. As for dinner, you eat in a dining room that doubles as an art gallery, a suitably theatrical spot for some very good food, perhaps braised pork cheek with crispy ham hock, wild sea bass with lemon and basil, cassis mousse with crème fraîche sorbet. The Llyn Peninsula waits: excellent walking, sandy beaches, towering cliffs. Pure heaven. Dinner, B&B £95-£125 per person. Have you visited Plas Bodegroes? Be the first to leave a review.